We’ve discussed before how changes in regulations and the marketplace are impacting domestic shipping. The implementation of the ELD mandate has exacerbated an already volatile situation where demand for carrier capacity is quickly outpacing supply in the logistical marketplace. 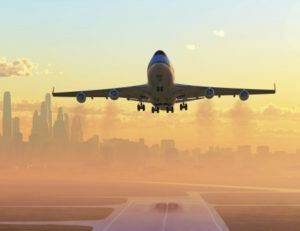 While domestic capacity shortage is getting a lot of press, another area of concern for companies is the development of air freight capacity shortage. This issue was slow to develop but has recently exploded in importance in the last year. It is causing carriers, freight forwarders, and shippers to rethink the way they move freight across international boundaries. Experts and analysts of the logistics industry have noted a sharp rise in demand for cargo space on air flights and that the airline industry has been slow to respond with more capacity supply. Some have noted the rationale behind this may be that, after years of less than ideal market conditions and relatively cheap rates, the airlines simply want to milk the situation for all it can. New planes will be added to fleets in the coming year, but probably not enough to make a marked impact. And that might be because of the lack of alternatives. Shippers who want to move freight internationally have two options – air and ocean. So if there is increased competition for space on planes (and higher rates to accompany it), you might think the logical outcome would be for companies to go with ocean carriers instead. But it’s not that simple. Discounting the fact that ocean freight is much slower than air freight (speed is becoming an absolute necessity in the modern digital economy), we are also seeing much less available capacity in this realm as well. Why the sudden spike in air freight capacity shortage? As is the case in the domestic sphere, international shipments are seeing a major increase in e-commerce cargo that is taking up much of this valuable space. And one of the major issues is that, while there is a clear peak for e-commerce in December, it doesn’t seem to have an obvious down season. This is having a big impact on many busy trade routes, such as Asia to Europe. What are Freight Forwarders Doing for their Clients? Freight forwarders like AFP Global Logistics are facing this challenge and finding new ways to provide the best service and rates for their clients. For example, one major forwarder managed to pre-book close to a hundred extra charter flights for the use of its clients many months before the fourth quarter crunch. This allowed that forwarder to protect their clients from the spike in rates that inevitably accompanied the surge in demand for freight space. Other forwarders used connections to create special networks of international flights to ensure that space is available for their customers at peak periods. The main focus of freight forwarders at this time is to maintain a good relationship with carriers throughout the year in order to ensure that they are taken care of once the peak fourth quarter season hits. They are also looking into “agreed tonnage” commitments, where clients can lock in lower rates well in advance of peak season and minimize their exposure to the volatility of market rates. AFP Global Logistics is committed to the success of our customers and has the experience necessary to help them navigate the challenges of the current air freight capacity shortage. This entry was posted on Friday, February 2nd, 2018	at 1:21 pm	and is filed under News	. You can follow any responses to this entry through the RSS 2.0	feed. Both comments and pings are currently closed.